As part of our ongoing commitment to integrate Magento with Brightpearl, we have created a Store Finder for Magento that uses the Brightpearl Contact system to provide a store search feature. Originally intended to replace the functionality provided by the Brightpearl Webstore Store Finder, our Brightpearl Store Finder for Magento works in exactly the same way, allowing stores to display their physical sales locations or the locations of their suppliers. 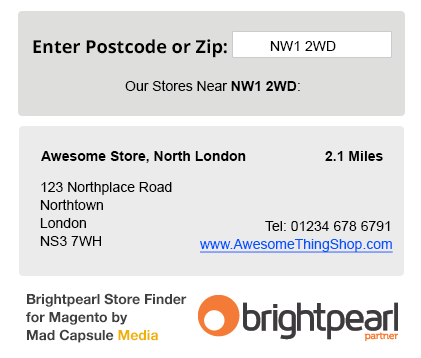 Our Brightpearl Store Finder for Magento utilises the Brightpearl Contact Tag system allowing store owners the abillity to offer a complete search filter to customers. 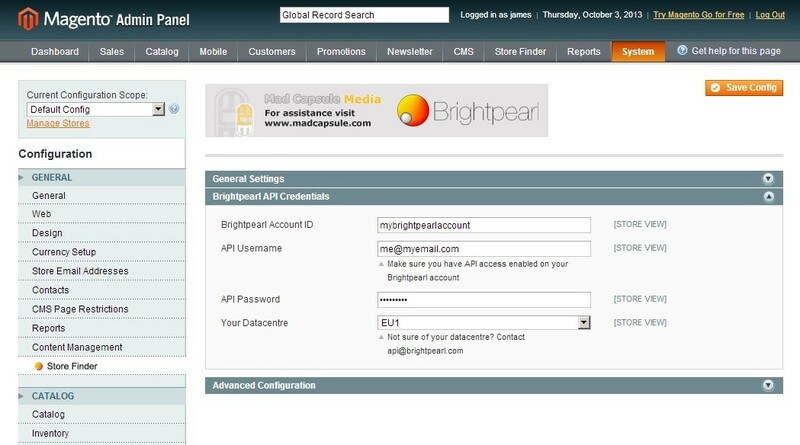 Synchronise Contacts from Brightpearl to Magento. 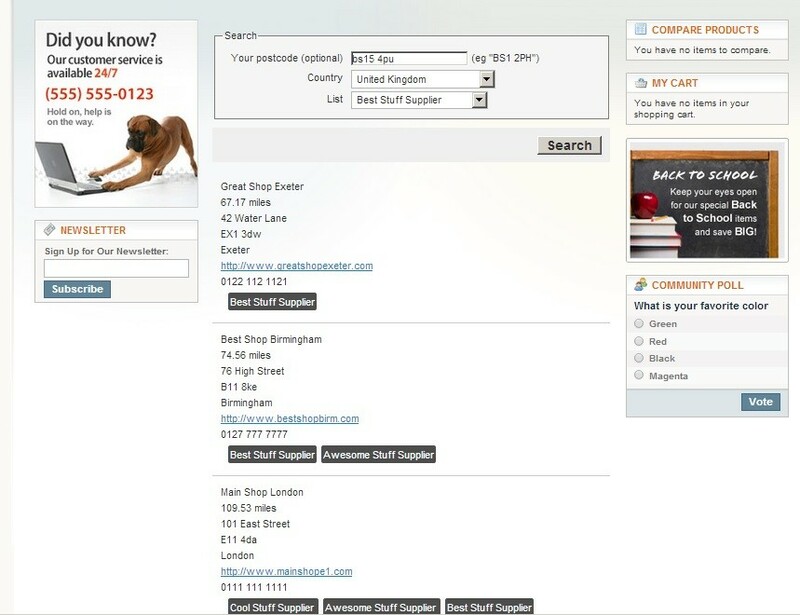 Allow customers to search for stores or suppliers based on Postcode, Country or Contact Tag. Calculates and displays the distance in Miles to the nearest store or supplier. New stores and suppliers, or changes to existing stores and suppliers are automatically pushed to Magento. This extension utilises Magento's CRON system. Please ensure CRON is correctly configured on your Magento store for this extension to function correctly.